Do you really need a Real Estate Agent or Broker to buy a home? What Services does an Agent provide? Part 1 – Do you really need a Real Estate Agent or Broker to buy a home? How to find a Real Estate Agent? Choosing a broker or real estate agent in Chennai can be a confusing task – Should I even work with an agent? Why can’t I buy a home myself and save on brokerage? These are common questions facing home buyers today. Though it is possible that you can buy a home yourself without an agent’s help, the main advantage is real estate agents can save you time, money and effort. We have written about the benefits in this article on Home Buying Process, Goals & Resolutions. A real estate sale can easily take 6 months to a year to complete – and enlisting the services of a knowledgeable and professional agent – can save you mistakes, headaches and inconveniences throughout this long and sometimes stressful period. 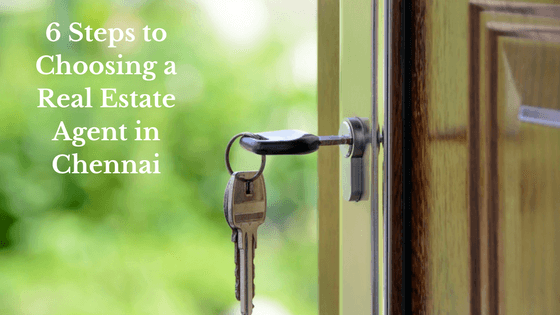 First time buyers who are not sure of the process or busy professionals who would rather outsource the work for a reasonable commission fee, should particularly consider working with a real estate agent in Chennai. But first off, who is a real estate agent really? An agent or broker is essentially an intermediary, focused on bringing together buyers and sellers in the property marketplace – people looking to buy, and people who wish to sell their properties. That said, a good real estate agent is not just any middleman – s/he is a property professional with education, field experience in – markets, locations, financing, prices, negotiations, documentation and offer closing – and even an emotional soundboard, for many clients grappling with the stressful home buying process. Now that a simple definition is out of the way, why is it really necessary to work with an agent instead of going it alone? Let’s take this analogy – if you wanted to go rafting, hiking or scuba diving, would you navigate your way underwater with the correct breathing equipment and safety procedures with a certified scuba instructor who can guide you on what to expect, or provide first timer tips? Or, would you rather go with the flow, undertake the risks and go it alone because you know swimming? The answer is obvious right? An experienced real estate agent is like a certified scuba diver too. The average person (especially first time home buyer) does not understand the real estate market, so making a splash headfirst into buying a home without assistance, is quite risky. A knowledgeable real estate agent helps mitigate that risk. Unless you’ve done a similar property transaction before, in most cases – it makes sense to go with a trusted professional who understands your needs, and save money, time and effort. Even if you’re in the market a second time, buying or selling a property, can take its toll on you – financially and emotionally. Making a splash headfirst into buying a home without assistance, is quite risky. A knowledgeable real estate agent helps mitigate that risk. They buy and sell houses day in day out – it’s their job, so they know this stuff better, unless you work in real estate too 🙂 They’ll know about the market, handle all the paperwork and negotiations, and represent you and your needs in the transaction, in exchange for the commission brokerage fee. They are just better at finding houses – Yes, the Internet has made it easy to search for properties today, but an agent will know the ins and outs of the neighborhoods you are interested in moving to, such as lifestyle, schools, hospitals, crime rates/safety, transport, and future investment potential. Having access to a professional who can give answers on the fly, rather than poring through pages and pages of unlimited online property listings, will probably save you a ton of time. They protect your interests – A good agent will know better about homes in the area, local market updates and state government regulations, and can help to keep an eye on anything that can take advantage of their clients. For example, small repairs that need to be made, a second opinion from a seasoned lawyer on the property title, changes to be made to the sale agreements, etc. can all help with peace of mind. You wouldn’t buy a car without a thorough inspection, so why would you buy a home without an expert by your side? More than 85% of buyers today start their home search online, and most go with the first agent they find. However, it is important to do a bit more research to find a real estate agent who works for you. Looking at these factors can save you a lot of time and ensure your real estate transaction is smooth and enjoyable. Experience is the first thing you should consider when looking for a real estate agent in Chennai. There are many unscrupulous brokers who simply show homes, tag along with you in your vehicle and expect to get paid. Instead, look for at least 5-7 years experience dealing in the field, a professional team that offers a full service brokerage model, is familiar with the markets and neighborhoods you’re looking in, as well as the strength of their networks. Look for Industry qualifications/professional affiliations. For example, Chennai Dream Homes™ is a member of the top professional organizations: NAR India or CREAA in Chennai. An agent who has also worked with clients just like you, is likely to better understand your needs and concerns. The next step in finding a good real estate agent is to make sure that they ideally live in, or near the areas you are interested in buying. This way, they have a firsthand impression of the neighborhoods, civic features, amenities, schools, colleges, hospitals, shopping centres, entertainment, employment centers etc., which you can discuss easily and you can decide the areas right for you. It’s always better to go with an agent who specializes in a few locations, or property types, or client types like you, rather than someone who tries to do a little bit of everything. Don’t shy away from asking your real estate agent about the number and types of transactions closed in the last year, their average sale prices, referrals, and any other queries to gauge their success as an agent. Ask them for testimonials from past clients, read Google reviews online, etc. If you’re selling, you can ask if previous properties sold were similar to yours in location, price and home configuration. We all know that there is a lot of Paperwork to do threse days, which can cause big problems later even if a small mistake is made. So it’s best to work with an agent who can handle all sale agreements, sale deeds, rental agreeements, getting them registered on stamp paper, etc. This is usually best determined only by meeting once face to face. Yes, their phone and email responses can also show their level of authenticity, but try to always meet casually in a coffee shop, to discuss their modes of working and your requirements. On the other hand, someone can sound sweet on the phone, but if you cannot feel a good fit face to face, there might be personality clashes. Since this is someone who will be assisting you for one of the biggest purchases in your life for several months, it pays to work with a real estate agent in Chennai who you can enjoy a comfortable rapport with. Before hiring an agent, make sure to understand what their brokerage fees are. Online listing portals don’t charge anything because they provide more choice, but don’t provide quality, personalized service to the buyer. Since real estate agents are individual businesses who provide a full service experience from home selection, help with loans, to property closing, registration and beyond, they charge a reasonable fee, usually 1% from buyers (varies with property location from the city). Imagine spending hours fielding phone calls and emails regarding queries on properties, coordinating site visits, etc. All this time becomes an opportunity cost for you, and could very well cost you more than the fees to be paid to an agent. This is well worth the cost of buying a home with a professional, to have a smoother home buying process. To avoid any confusion later, always discuss payment terms with your real estate agent first, before starting the home search process. Any Questions on Buying a Home? Contact Chennai Dream Homes™ now!